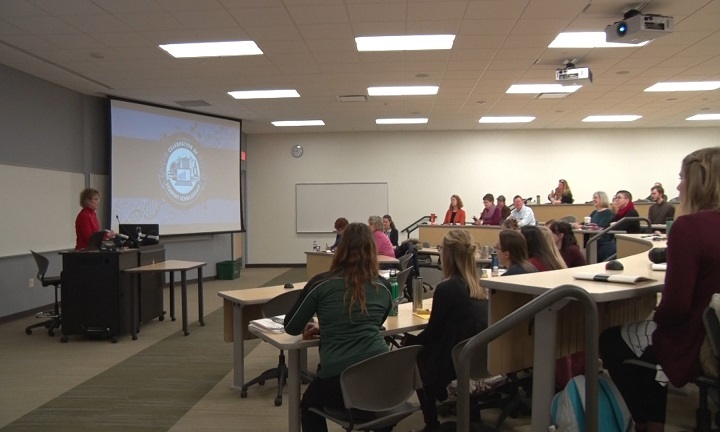 MARQUETTE — The McNair Scholars, NMU Office of Graduate Education and Research and Office of Academic Affairs hosted its 24th annual Celebration of Student Scholarship’s event. The event put student work on display for the campus and community to enjoy and learn about the scientific endeavors of Northern’s students. Not only is this important for the school to further students experience within their degree’s but it also prepares them for the future. This annual tribute to and recognition of student work began with an opening ceremony at 9 a.m. in John X. Jamrich Hall, and continued throughout the day with presentations and posters displays. These presentations and displays help get students comfortable with talking about their studies and help them gain more insight within public speaking. Multiple students were also awarded as well for their work through the different studies that they conducted.